The ARTbar Studio/ARTstarters - Open Studio - PRAISE Session! Open Studio - PRAISE Session! Your donation helps us fund the ARTbar Foundation and gives you a seat in our studio to create with our studio supplies, including stamps, inkpads, watercolor paints and pencils and more! Register as a guest if you are not able to make a $19 donation at this time. Guests will be given space up front (as available) to work on any artwork they bring or to get inspired with something new that we can help you with. Just like our other Open Studio sessions, except we play music that praises our Lord Jesus! We'll play inspirational music that will lift your spirit, as we all use art as a tool to get closer to God, the Creator of us all. We encourage you to meet others, share inspirational stories/testimonies -- or simply to just work individually with your own headphones/music if you wish. Loud singing, praying and dancing in the aisles is encouraged as well! 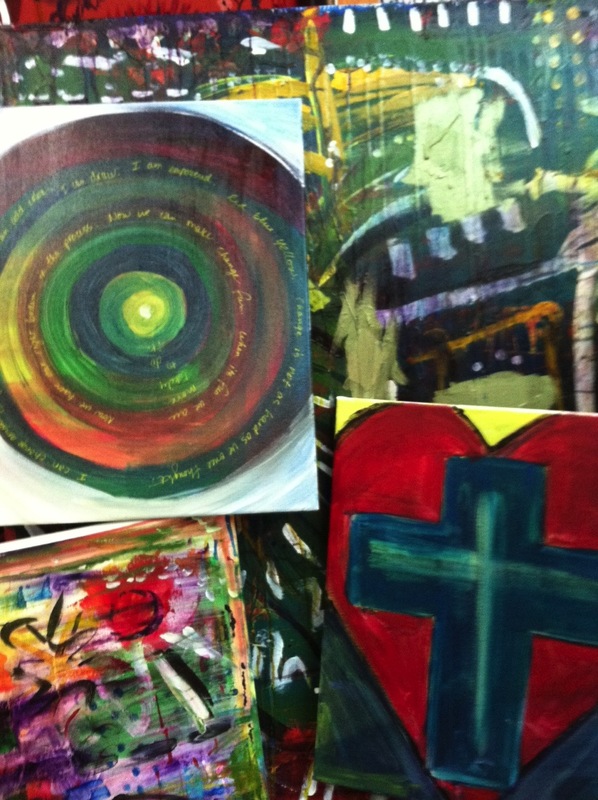 $19 Donation helps us to fund the ARTbar Foundation, used to help those in need to connect to Jesus through art. This summer we are working with several organizations, including our local Kidworks of Santa Ana to start a revolution of hope in at risk neighborhoods. Choose our free option if you are not able to afford a donation at this time.